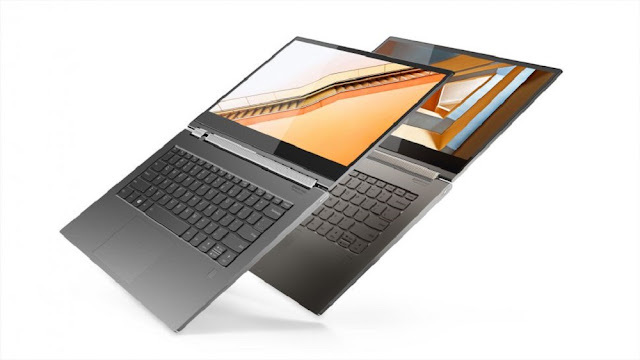 Lenovo has unveiled its new flagship Yoga laptop, which shares its name (C930) with the new Yoga Book, pairing hefty performance with some notable design quirks. First, the basics. The display is a 14-inch IPS touchscreen panel, coming in both Full HD and Ultra HD variants. Both versions also support Dolby Vision. It also comes with a bundled stylus, which has its own slot at the back of the hinge. The stylus supports 4096 levels of pressure sensitivity, meaning it is not just an add-on. Also, like the new Galaxy Note, it charges once it is parked inside its slot. Talking about the hinge, it comes with a Dolby Atmos soundbar on top of it, which throws out sound in whichever direction you are using the 2-in-1. The design is also quite svelte, at 14.5mm of thickness, and weighs a hair over 3lbs. The keyboard is still backlit, and there are more than a couple of “far range” mics, to help you give tasks to the integrated Alexa assistant. Under the hood, you get an eighth-generation Intel Core i5-8250U or Core i7-8550U processor. It is accompanied with 8-16 GB of RAM, and 256 GB to 2 TB of SSD storage. For graphics, you get Intel HD 620, with no discrete option available. Connectivity options include 2 USB-C, USB-A 3.1, headphone jack, Wi-Fi and Bluetooth. 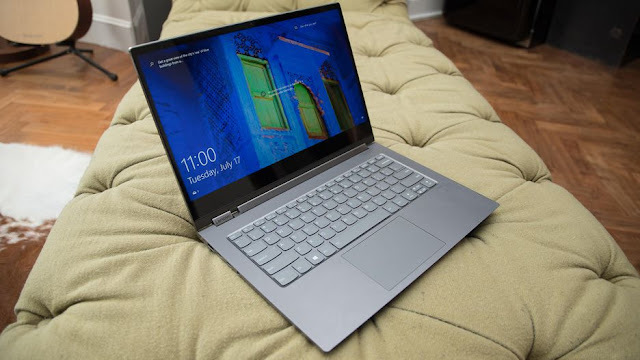 The software running is Windows 10 Home, which is accompanied with both a Windows Hello webcam and a fingerprint scanner for security.